Thanks to its angled head and flagged bristles, this broom will make short work of any cleaning task! 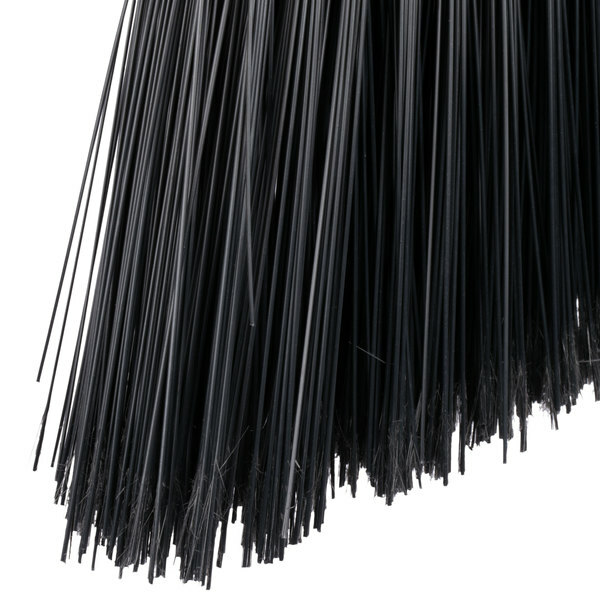 The flagged bristles are ideal for capturing finer dust and dirt particles. 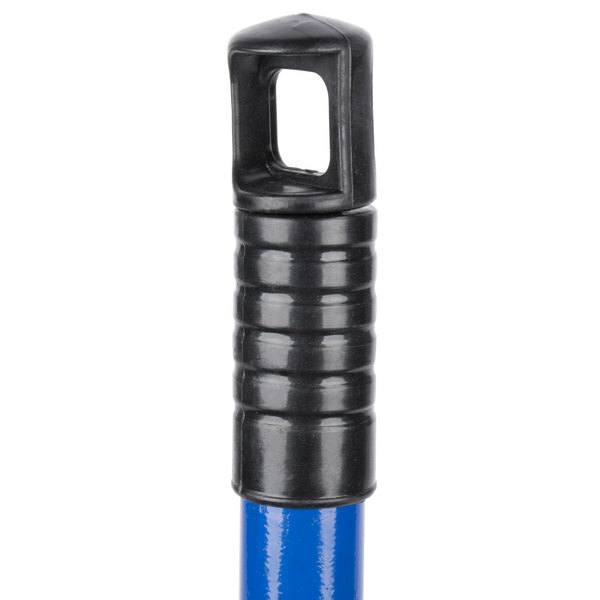 It comes with a sturdy 45 1/4" long metal handle with a convenient hanging hook, and the broom head is approximately 10" wide. The broom handle is like a work of art. Really good quality, like it was handcrafted almost. It is really sturdy, and works well. 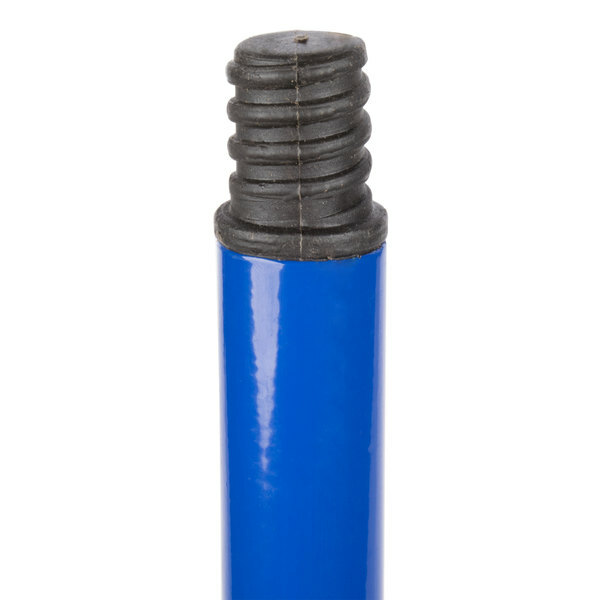 The pole/handle is nice and strong, to resist well against strong pushing. 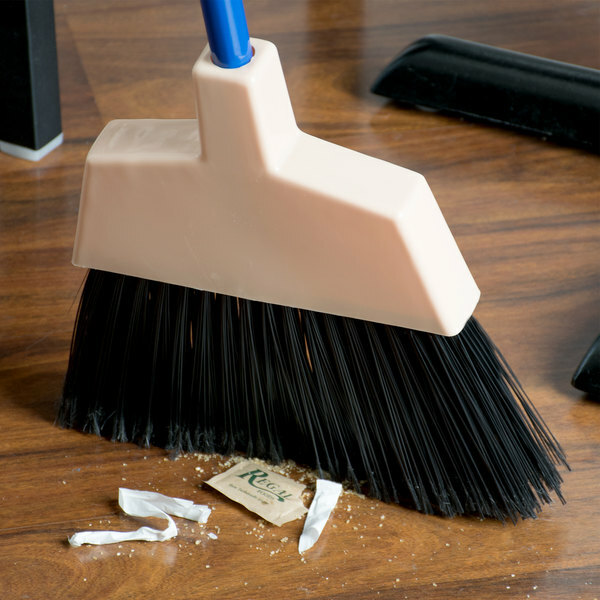 The bristles even work against carpet, which is really handy as an "all-terrain" broom! Need to push the dirt around? These could be the key to your dirt pushing happiness. The handle isn't the strongest, so don't lean in to it too much. They get the job done, and the bristle head cleans up easily through a dish machine. Move the dirt around well so your boss thinks your busy. These brooms will help! I bought this Broom at of course a cheap price, but something was wrong, exactly i can't fit the handle to the broom and trying to do i broken the broom. Also the quality of the broom is very cheap and you can't use for a business jobs. Thanks for the review, Andrea! We apologize that this broom broke so shortly after purchasing. A Customer Solutions Representative will be in touch with you about this. The broom itself is not bad, if you only need it for light use. We sweep multiple times a day and the broom only lasted us about 30 days. Thank you for your review! 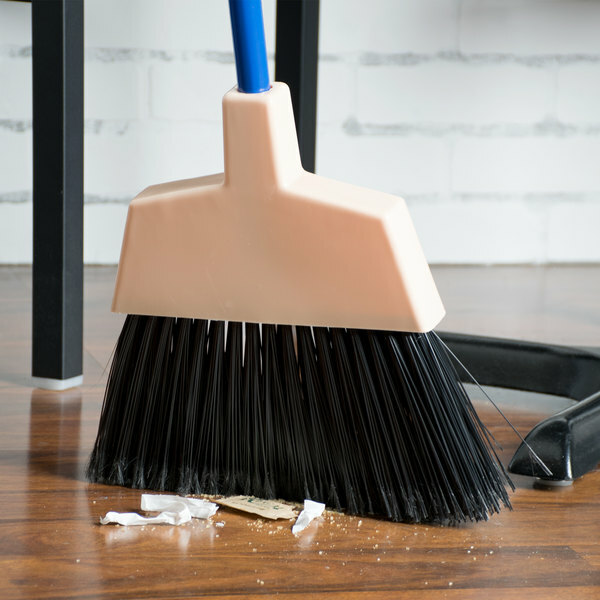 We’re sorry to hear your broom didn't last you that long. 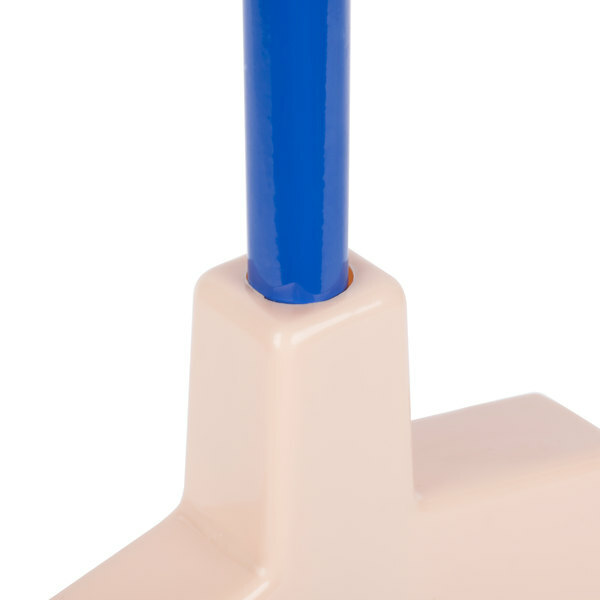 For a heavier duty broom, try this Carlisle Heavy Duty Angle Broom. I have been using this broom for about a few years and it is still going strong and is effective.. Excellent. Does its function well. Thank you for the review! We’re sorry this is not working for what you need it for. We suggest trying checking out our Types of Brooms Buying Guide for an alternative that might better suit your needs. This is a heavy duty broom. The handle is not flimsy and the bristles do not fall off like other brooms I use. 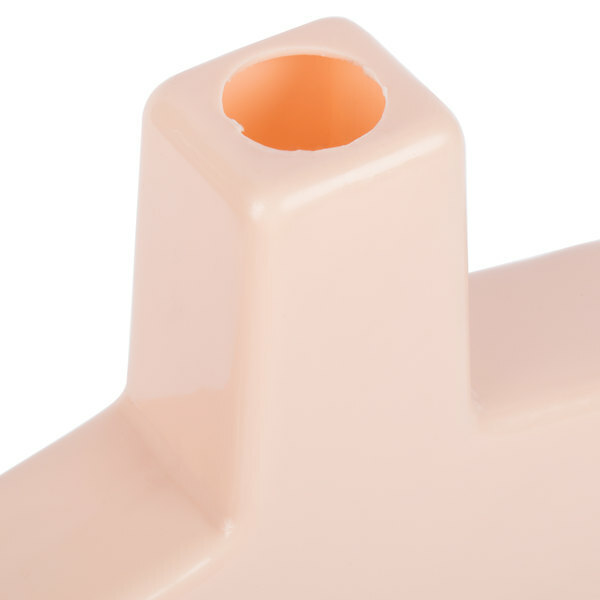 The handle is also very long. Thank you for the product. Durable handles and bristles. I highly recommend these brooms over any other one. They get the job done and last longer than your normal restaurant broom. We purchased a dozen or so of these brooms and every last one of them broke. Most of the time, within just a few minutes of using it. I should have known the quality wouldn't be that great given the price. I do not recommend these brooms. Thank you for the review Steven. We’re sorry this has not worked well for you. For an alternative that might better meet your needs, check out our Types of Brooms Buying Guide! Good enough for the price point. We’ve had a few break halfway down the handle from too much pressure. But they do well while they last! 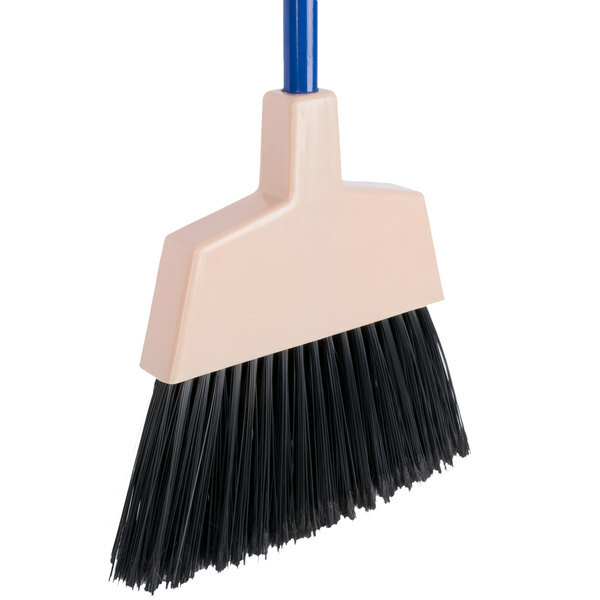 Great broom for sweeping up fine cardboard dust in our manufacturing facility, sturdy construction, light weight and easily cleaned when needed in our mop sink. This product is awesome. You can use it anywhere. It picks up dust and dust particles really well. The broom came packaged very nicely. For the low price and satisfying quality, I really recommend it! I was not sure what to expect given that this broom was so cheap, but it turned out a whole lot better than I thought it would. It picks up dirt and other messes with ease and our staff is really happy that we have multiple brooms now. I would give this a product zero stars if that were an option. The handles were breaking within a week of use. 6 out of 8 were broken when I returned to work from the weekend. Customer Service was great however and credited my account immediately upon me making them aware of the situation. We appreciate your review, Allison. 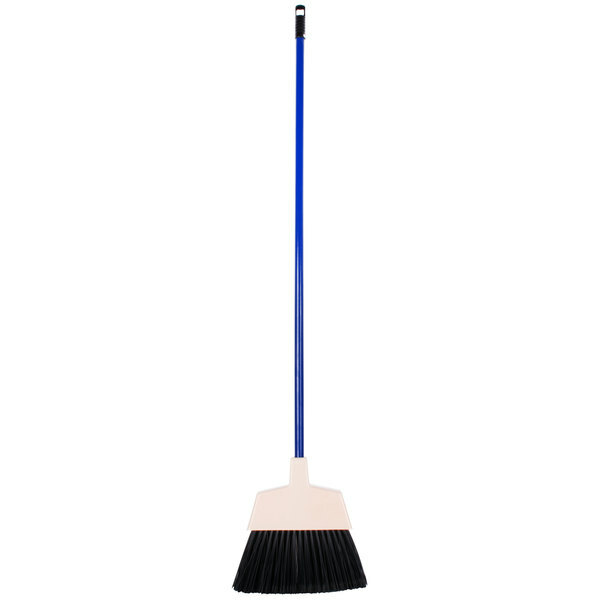 We wish this 52 3/4 inch Broom - Angled Head with Flagged Bristles would have worked out for you. Our Customer Solutions team was happy to assist you with this issue. Perfect for daily use in a restaurant. It is light, and its soft bristles do the job perfectly without having to revisit areas of the floor again. These brooms are a great deal! So inexpensive but they did not skimp on the quality. I bought them for my high school culinary class but think I will be returning to purchase some more for my home! Great product! This broom is sturdy and well-made, and perfectly does what it was designed to do. I love how well it gets into corners under the cabinets and makes short work of the dust that loves to gather there. This seems to be a good broom for kitchen use. The bristles are sturdy but still flexible enough to bend to get under the cabinets and the table.